Chromium is involved in the production of insulin, the hormone that regulates the amount of glucose in the blood by transporting glucose into our cells for later use. This action helps to prevent the blood glucose levels from rising too high (as in diabetes) or falling too low (hypoglycaemia). Because chromium plays a significant role in insulin production, chromium intake is important in maintaining optimal glucose levels in the blood. Zinc, a mineral with antioxidant activity, also plays a role in the synthesis, storage and secretion of insulin. Decreased zinc, can affect the body’s ability to produce and secrete insulin. Several of the complications of diabetes may be related to increased intracellular oxidants and free radicals associated with decreases in intracellular zinc and in zinc dependent antioxidant enzymes. Both of these vital minerals are usually lacking in the modern diet high in refined and processed foods and hence supplementation may be needed for proper glucose metabolism. High blood glucose level also increases zinc urinary loss and decreases total body zinc levels. 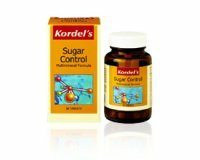 Sugar Control also contains vitamin B6, B3, magnesium, potassium, iron and manganese. These co-nutrients are required in the metabolism and utilisation of glucose. Through Sugar Control’s involvement in helping to stabilise sugar metabolism and blood glucose, it can help reduce sugar cravings. 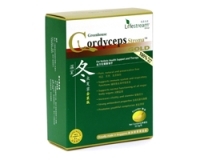 MAXIMUM ABSORPTION Not all forms of chromium and zinc can easily be absorbed by the body. ChromeMate is an advanced patented form of chromium with a superior absorption profile, while OptiZinc is a patented form of organic zinc and the most easily absorbed form of zinc available.